Total of brand 'Bauer': 1 factory cars, 0 reproductions, 1 total. 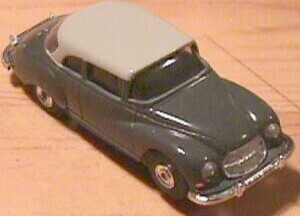 German contemporary manufacturer that builds HO cars using NOS (New old stock) Aurora T-jet chassis sold by REH. beautiful cars.